When you need a new water heater, you should know you have different options. Today, there are a number of different types of water heaters available for residential use. Homeowners can choose from the traditional storage water heater, which uses a tank to reserve heated water, as well as tankless options that heat water on demand. 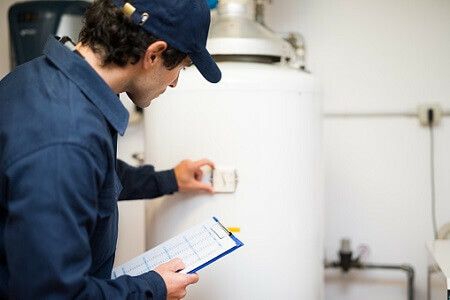 If it’s time for a new water heater in your home, you can count on Boelcke Heating and Cooling to help. At Boelcke, we’re pleased to offer a range of water heater options for our residential customers. And, when you work with us, you can trust our expert technicians to provide you with prompt, professional water heater installation. They’ll help you select the right hot water heater for the size of your home and your lifestyle, so you and your family can enjoy hot water for cooking, cleaning, bathing and more. Choose Boelcke when you need a water heater for your home. When you need a water heater from a qualified specialist for your home, you can trust Boelcke Heating and Air Conditioning. We can help meet all your water heater needs, large or small. Simply give us a call at (269) 429-9261, and we will be more than happy to assist you. I was very pleased with the work that was done. It was completed on time, at the quoted price, courteous and professional.